My name is Kevin, And I'm 16 years old. I live in Sweden. And some people call me a god at games. I'm just a guy that goes to school with lower than decent grades and plays computer games all day. And i love talking to strangers around the world that's why i love streaming! But sadly i don't get so many views. And I'm also trying to find a job that fits me.. Which for me is impossible because i wouldn't like to do anything else than playing games and entertain people / streaming. League of legends is my most favorite game! but i play alot of other games such as Fortnite, Minecraft, Darwin project, Battlerite, Rust, Tom clancy's rainbow six and sea of thieves. I really don't have a favorite genre i play whatever i feel like really. But there is one genre that i hate... It's Horror.. Nothing special just banning people that were really toxic! Or the people that the streamer told me to ban that he disliked. I just love helping out people! I don't really have any best experiences.. I just loved to watch other people being happy for some reason.. And i loved watching Tyler1 getting mad at games i find that very funny. Or when people get jump scared of horror games that i hate to play myself. Sodapoppin, Greekgodx, lolTyler1, summit1g and drdisrespect. 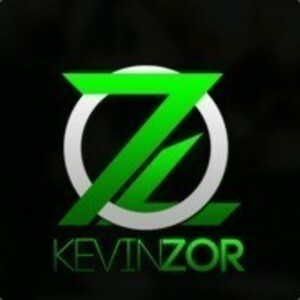 Report KevinZorTV's profile for containing a lack of content. Report KevinZorTV's profile for containing unsafe links. Report KevinZorTV's profile for containing offensive content. Report KevinZorTV's profile for containing formatting errors. Report KevinZorTV's profile for containing invalid links. Report KevinZorTV's profile for another issue.